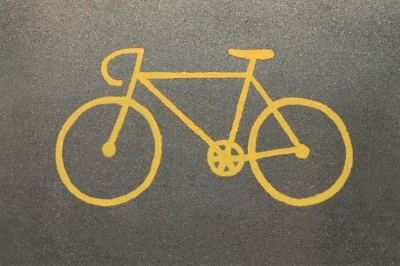 In honor of National Bike Month, I have decided to calculate the fuel efficiency of bicycling. 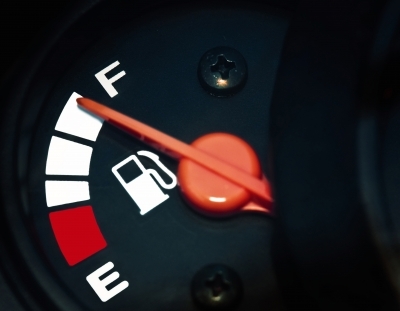 We are most familiar with measuring the fuel efficiency of vehicles in miles per gallon of gasoline (MPG). The strangeness of this unit is explored in an xkcd cartoon. Bicyclists sometimes joke that we get infinite miles per gallon (MPG) because we don’t use gasoline. However, one would not make the same claim about an electric car even though they use no gasoline. All three of these modes of transportation use energy, and MPG is really just another way of stating energy efficiency. When we speak of MPG, we are really using gallon of gasoline as a unit of energy. Energy is measured in many different units for different contexts. The basic metric unit is the Joule (J). For gasoline-powered vehicles, as we have already seen, it is measured in gallons of gasoline. For electric vehicles and on an electric bill, it is measured in kilowatt-hours (kWh). For heating, it is sometimes measured in British thermal units (BTUs) or Therms. For food, which also happens to be bicyclist fuel, it is measured in nutritional Calories. Nutritional Calories are the equivalent of kilocalories (kcal) that are normally used in physics. This is a very important point; the kilowatt-hours on your electric bill, the BTUs on your heating bill, and the calories listed on your cereal box are all measuring the same thing: energy. 1 gallon of gasoline = 33.7 kWh. So, how many MPGe do I get riding a bicycle? We start by looking up estimates of Calories burned while cycling. I ride 3.2 mi to work in about 17 min, for an average speed of 11.29 mph. The Wisconsin Department of Health provides a table of Calories burned per hour for various activities. The closest weight to mine is 155 lbs., and my speed is in the range that burns 422 kcal/h = 0.4907 kWh/h. This will vary by individual, road conditions, exact speed, and other factors, but we can use this figure as an estimate. Now, we have all that we need to calculate a bicycle MPGe! We convert from my energy burn rate to miles per kWh, using my average speed. Then, we use the known energy content of gasoline to arrive at our answer. (23.017 mi / kWh)*(33.7 kWh / gallon) = 776 MPGe!